Moody Tongue beers are not available here in San Antonio, so I had never even heard of this brewery until I went to Houston one day, and did some bottle shopping at their local Spec’s Wines Spirits & Finer Foods store.I think the whole distribution boundary lines are so nutty and out of whack sometimes! I’m not sure what type of push this brewery gets in the Houston market, but they had quite a bit of their selection at the store I went to, so I picked up single bottles of a few of them. Here is the first of the bunch to make it to the site. Their packaging is nothing great, and I did notice that the few beers I picked up all had the same label, just in different colors. The label features a modern art piece that looks like a tongue on the top of the label with a large square beneath it. The overall label is dark red, with the two pieces being a lighter red. 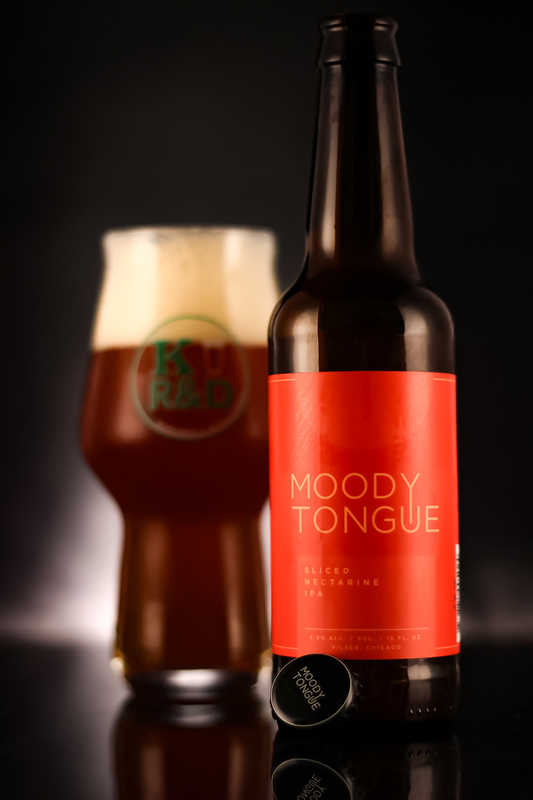 The Moody Tongue logo sits in the middle of the label, and that same piece that looks like a tongue is displayed with the “Y” in moody and the “U” in tongue. As I said, nothing special, but we all know, it’s the beer that matters here, not the outside of the bottle. The aroma had a huge citrus and stone fruit hit up front. Orange pulp and zest alike are dominant. There were hints of peach/nectarine, vanilla cream, fresh baked white bread loaf. Lingering nectarines, and orange stick around a bit in the nose. The taste follows the aroma with flavors of zest and pulp of oranges were right up front, hitting the palate strong. The body was made up of peaches/nectarines with hints of vanilla cream and fresh baked white bread. The aftertaste was a nice combo of nectarines and oranges. The body was medium with a tangy, astringent mouthfeel. Moderate carbonation. As with good IPA’s, this beer had a nice, dry finish. Overall, I was impressed by this offering from Moody Tongue. It was a refreshing beer to start off with. I am a fan of the fruit and juice dominant IPA’s, and this one definitely fits within my liking. The flavors of stone fruits like nectarines, and citrus like oranges really pop out in this one. The name given to this beer, Sliced Nectarine IPA is a really fitting title. Pick this one up if you ever see it at your local store or bar. 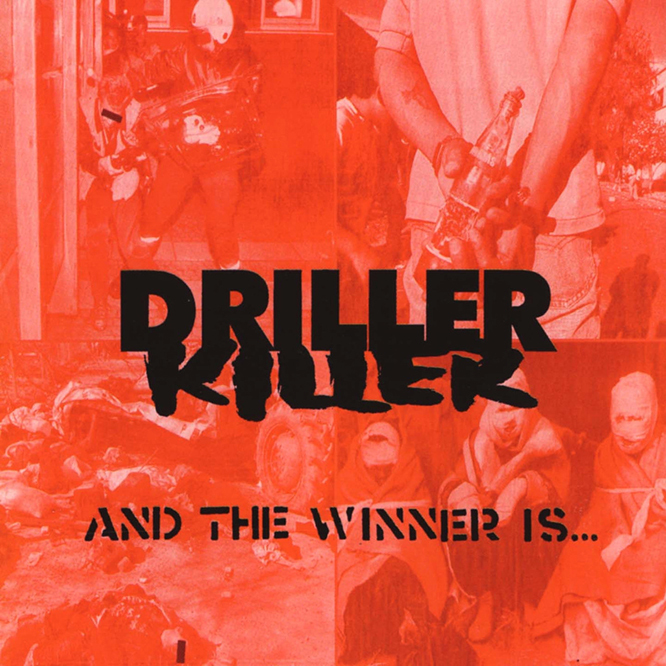 Metal Connection: Tons of great options for this Metal Connection, but the one who stood out of the bunch was “Sliced” by the Swedish D-Beat Crust Punk band, Driller Killer. They formed back in 1993, and named after the 1979 Horror classic by the same name. You can tell they are heavily influenced by the band Discharge, as most D-Beat bands are. They are signed to the French record label, Osmose Productions who are home to some of the most unique bands in the Black, Death, and Thrash Metal genres. Some D-Beat Crust Punk bands get lumped in with the whole Black/Death Metal scene, and they should. I am not really sure why Driller Killer is not listed on Metal-Archives, but Discharge is. The song “Sliced” comes to us from their full length album, And the Winner is… from 2000, which is the band’s 5th album. One listen to this song, and you will hear their Metal influenced D-Beat Crust Punk style. This one will have you head banging, and waiting to pit around your room like a maniac. If yo do, just don’t spill your beer!